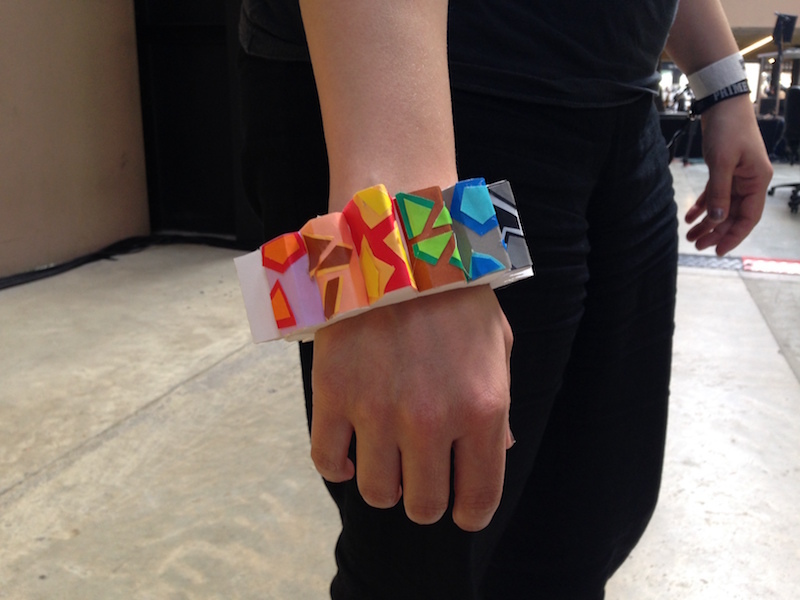 Tatelet is a generative bracelet based on artworks from Tate Modern collection. Developed during at Hack The Space 24h hackaton at Tate Modern the projects transforms images of the artworks you have seen during your visit in to a bracelet encoding the history of your visit. 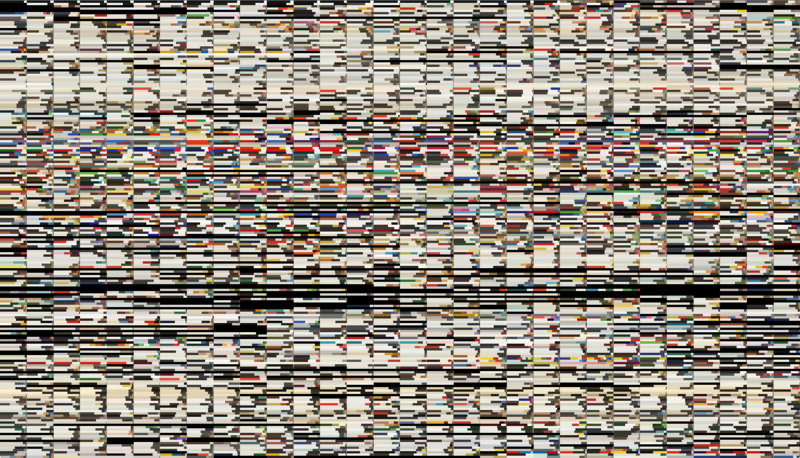 Each of the artworks selected by you would be analized by an algorithm measuring the image complexity and it's key colors palette. 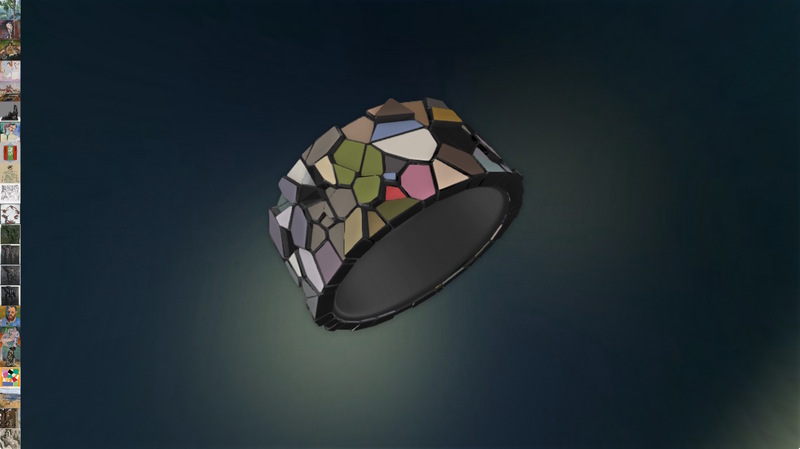 That data would be later used to generate a pattern on the bracelet. The complexity of the image drives the number of surface fractures while the key colors are applied to the resulting tiles. 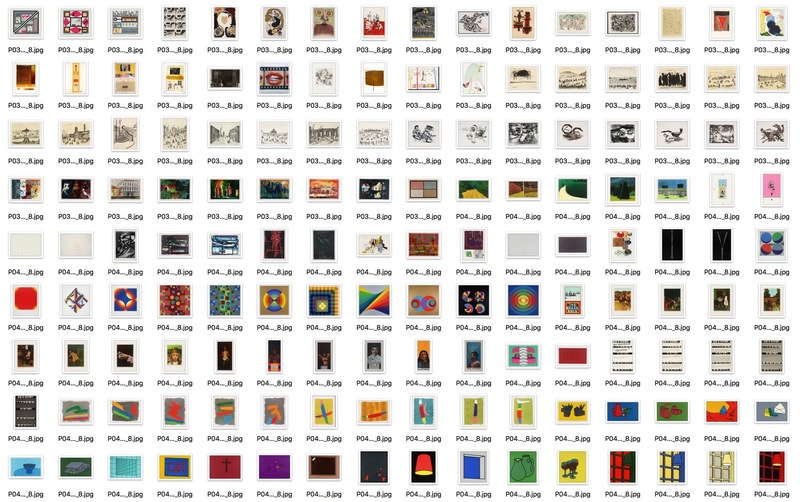 Earlier in 2014 Tate Modern released the metadata about "Concise catalogue entries” for all wholly owned artworks in the Tate collection and we decided to use them as a starting point. 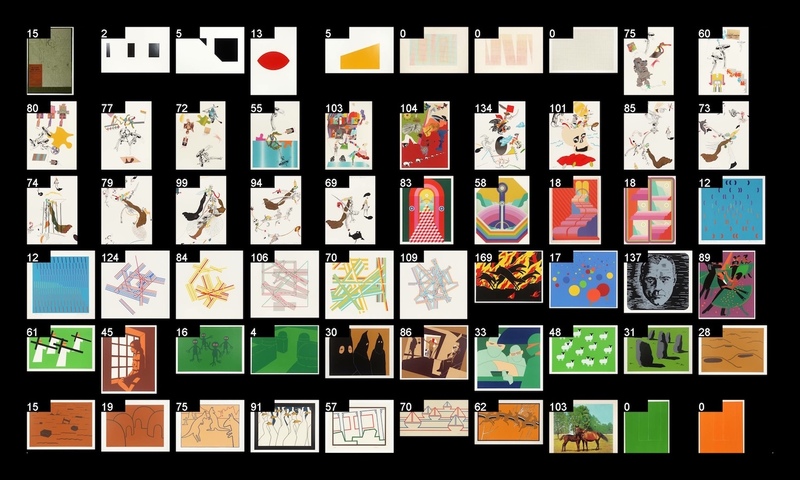 Each one of the 69'202 artworks has it's author, creation date, format, short description, url on the website and link to a preview image. We then wrote a script to download all the 60k images over the night. 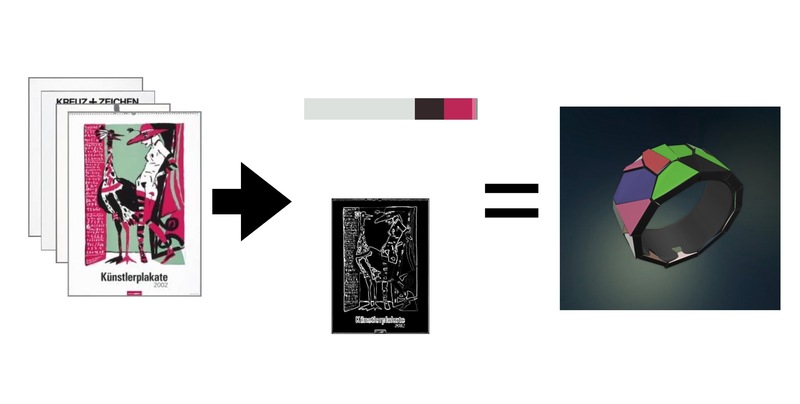 To measure very roughly how complex is the image we came up with an idea of first applying an edge detection algorithm, counting white pixels and finally normalizing that number by the image size. Kirill Kulikov wrote the implementation using Scala and OpenCV. The resulting "complexity score" worked surprising well. If you wonder why so many of the colors are beige it's because of huge amount of sketches and illustrations in the Tate's collection. We use the Voronoi algorithm with the points distribution driven by the complexity of the selected artowrks. You can play with the Interactive Version or see the video below. 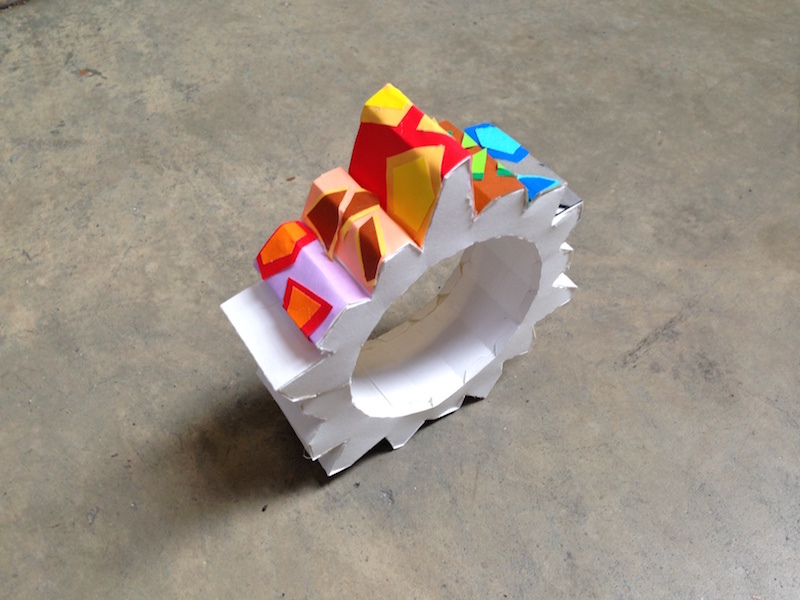 As Me and Kiril were working on the code Bettina Nissen created these paper prototypes as a prof of concept. Ideally we would like to 3d print them in the future.